Youngsters who help spread the message about road safety among their classmates have been celebrating their achievements. 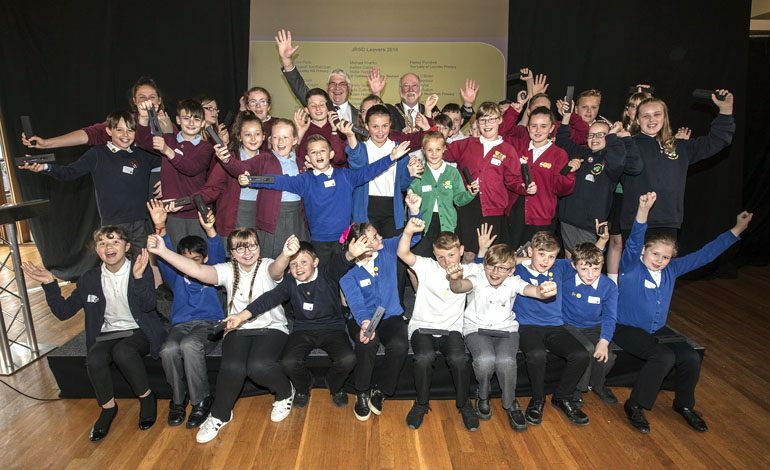 Junior Road Safety Officers (JRSO) from 13 primary schools around the County Durham attended a special annual end of term celebration event at County Hall, Durham. The children took part in poetry workshops and heard from performance poet Bernard Young. They also demonstrated their hard work over the past school year by creating displays for the event. Run by Durham County Council, the JRSO scheme encourages older primary school children to become road safety champions, educating their fellow pupils about the importance of staying safe when near roads. Volunteers maintain an information and notice board in their school, run competitions for their classmates, speak at school assemblies and organise road safety themed campaigns. They also work closely with the council’s road safety team on projects such as the Slow to 20 for Safer Streets initiative, which has so far seen 20mph zones introduced around 50 of the county’s skills. Cllr Brian Stephens, Durham County Council’s Cabinet member for neighbourhoods and local partnerships, said: “It is incredibly important that our children understand how to stay safe when crossing the road, riding their bike or travelling in a car. “Our JRSOs play a vital role in passing on this message and I am incredibly impressed by their dedication and commitment to the role. 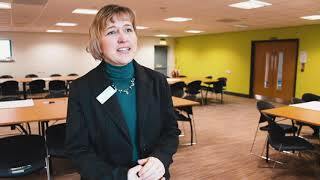 The celebration event, which is now in its fourth year, included speeches by Cllr John Lethbridge, Chairman of the Council, and Ron Hogg, Police, Crime and Victims Commissioner for County Durham and Darlington. Pupils who are leaving primary school this year were presented with a certificate and a commemorative pen in recognition of their efforts.